Give this guy a Nobel Prize. 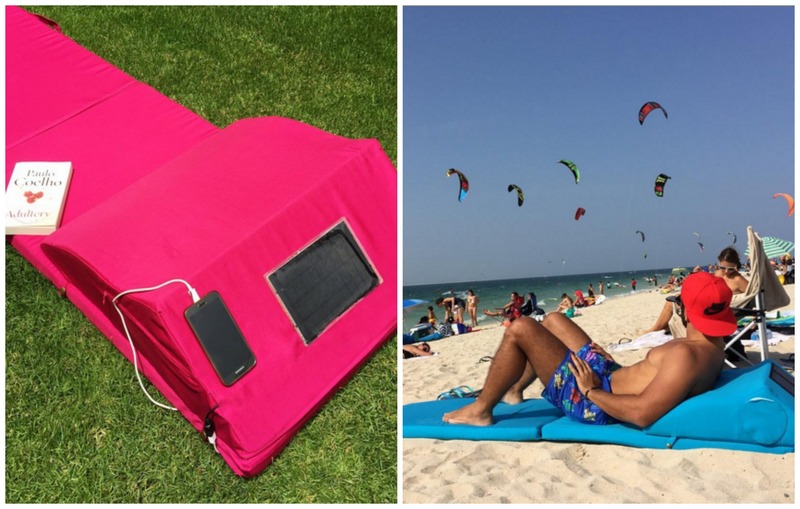 It’s basically your dream invention – a 23-year-old design student in Lebanon has created an eco-friendly beach mat that charges your phone and keeps your beverages cool while you soak up the rays. Hello, future? Is that you? Designed using a waterproof fabric, the ‘Beachill’ (get it? Be chill?) uses solar power to recharge electronic devices and power its built-in thermal fridge. The mat’s designer, Antoine Sayah, told Reuters that he wanted to design something that could solve all his regular beach-going problems. “My phone runs out of battery, water warms up in bottles, [and] I can’t relax because mattresses cause back pain,” Antoine explains. He’s not alone – how many times have you gone to the beach only to realise your phone has run out of battery and you can’t take that glorious sunset shot, or a jokey #hotdogsorlegs pic? Ever cursed the sky that your cooler-than-cool water bottle now tastes like lukewarm tea? Summer bummer, right? Now you’ll be able to sit back, relax, and enjoy a chilled bevvie while you snap away at those waves. Oh, and did we mention they’re super lightweight and compact? Antoine has begun advertising The Beachill solely on Instagram and has already been inundated with orders from across the globe. In terms of price, a solar mat costs $150USD, which is about $208AUD – a nice investment for a future of chilled-out summer days.